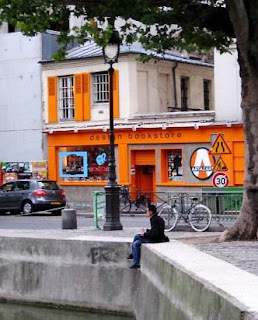 Gridskipper said: "This design lover's paradise of a bookshop in Paris is an irreverent splash of orange on the verdant Canal St-Martin..."
If you're searching for visual inspiration, there aren't many better options than the Artazart Bookstore. The word "hip" isn't often associated with bookstores, but Artazart is a rare exception. 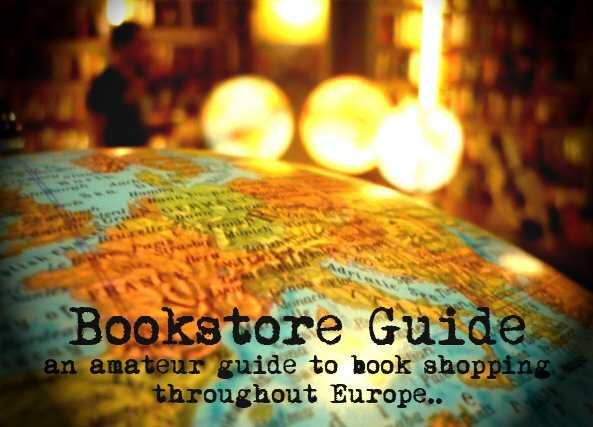 This bookstore proudly declares itself the number one design bookstore in Europe. It offers a great selection of books on any topic related to visual art in all its imaginable forms. You can find books on graphic design, illustrations, architecture, photography, colors, fashion, graffiti and urban art in general, and many obscure but fascinating art related topics you didn't even know existed. Most of the books they offer are original English titles. If Paris seems too far at the moment, just check out their online catalog, where it's possible not only to order the books but also to flip through selected pages of each book. Although it's located far from the city center, we knew Artazart deserved a visit. And we were not wrong. It is a quite lovely art bookstore, vivid in both colors and assortment of books (on almost any topic related to art imaginable). The most fun we had was with the flip-through books since they were the only ones we could afford on our low-budget trip, yet the prices are not high at all, especially considering it's Paris which, together with London, is a contender for the most pricey city in Europe. 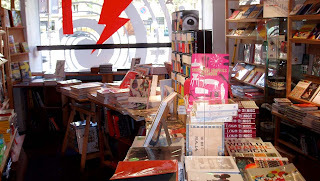 Artazart definitely falls into the 'best value for money' category of Paris' bookstores. And above all, it's simply fun to be in. One part of the store is actually a gallery where exhibitions of talented and mostly yet-undiscovered artists from all over the world are being held on monthly basis. The existence of this bookstore was originally limited to the virtual cyberspace, where it appeared in 1999. In September 2000, the real-life 3D Artazart came to life ear Le Canal St. Martin in Paris' in the 10th arrondissement in Paris. You can't miss it due to its buoyant orange facade. All in all, a visual delight, both the store and the items they sell.